You'll be £10.99 closer to your next £10.00 credit when you purchase Flers & Gueudecourt. What's this? Flers is of course best remembered for the first use of tanks in modern war. But the battles at Flers and Gueudecourt were also memorable as forming part of the last great advance of the British Army in this slogging match that was the Battle of the Somme in 1916. As ever with this series, engrossing personal stories are intertwined with the wider detail of battle... What is particularly striking about this book is the wonderful aerial photographs of the different areas of the battlefield. Equally, there are amazing photographs of events from the field during this period. After a career in the diplomatic service Trevor Pidgeon devoted much of his time to pioneering research into the Great War, in particular into the development of tanks and the operations of the first tanks on the Western Front. 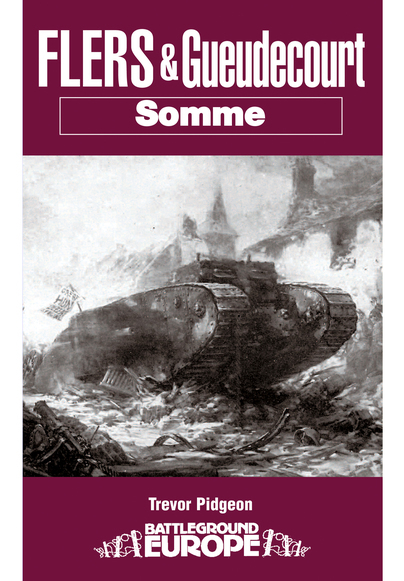 His work lead to several books that were milestones in the field, including his classic study Tanks at Flers: An Account of the First Use of Tanks in War at the Battle of Flers-Courcelette, the Somme, 15 September 1916. Trevor Pidgeon sadly died in 2008 and his last book, Tanks on the Somme, was completed by his friend Dr Graham Keech.